CableFree is offering Solar & Battery Offgrid Power solutions for regions with no AC power available, or where only expensive or “dirty” (oil/diesel powered generators), which combines Solar panels plus Battery storage with intelligent inverter and charger technology. 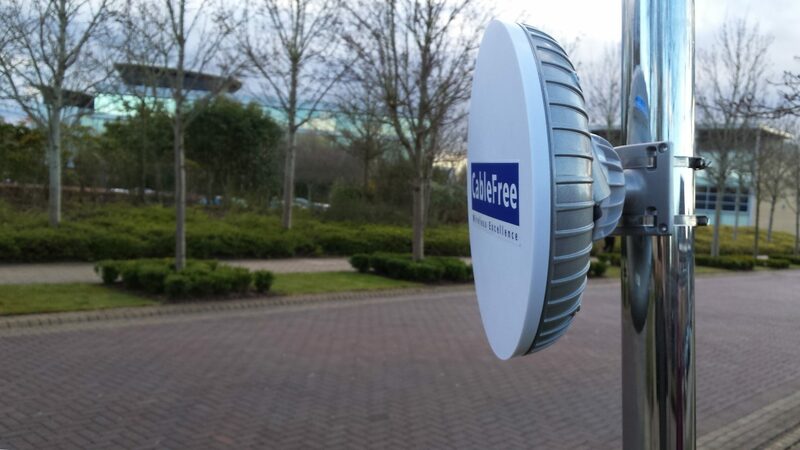 Maintaining role as an innovative Wireless Vendor, CableFree offers a range of Solar+Battery power to enable zero-emission Wireless Base Station & Microwave Transmission in regions with no AC power available. One option, a Flexible & Rugged Panel “Solar Blanket” options enable the solar panels to be wrapped around almost any structure, such as an existing telecom tower, a rooftop, or over a custom metal “former” pole to optimise exactly the best collection from dawn to dusk. These flexible panel blankets, though more expensive than traditional fixed panels, enable more consistent power throughout the day which can reduce the battery storage requirement, or offer longer and greater peak power output. Alternatively, conventional flat solar panels can be used. Solar plus Battery Power can be ideal for both Wireless Base Stations (Point to Multipoint, 4G/5G/LTE, WiFi, OFDM MIMO) as well as Backhaul Transmission Links (Microwave, MMW, MIMO Radio, FSO) or a combination of technologies. All Solar solutions require careful dimensioning to meet local environmental and climatic conditions: for example, installations in more sunny regions with low cloud cover can use smaller panels and batteries than for colder climates which have longer and darker winters, plus longer periods of cloud cover.